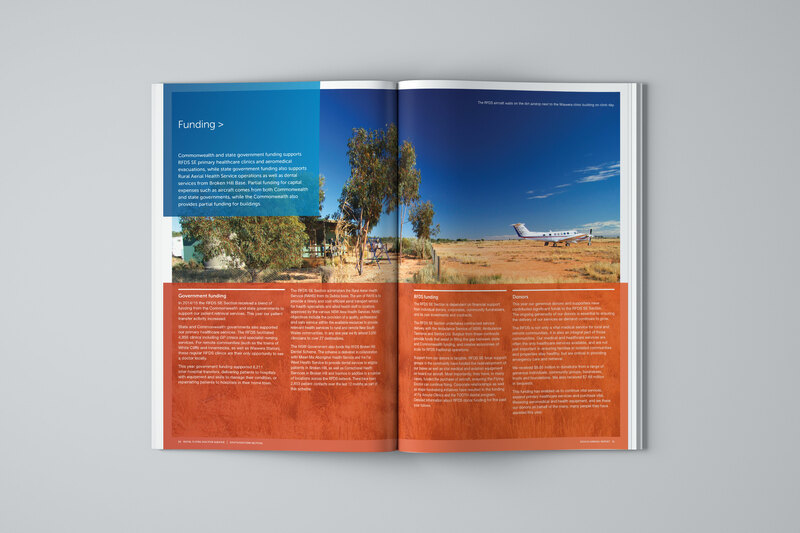 For charities, annual report documents are used as integral marketing tools to meaningfully engage stakeholders. 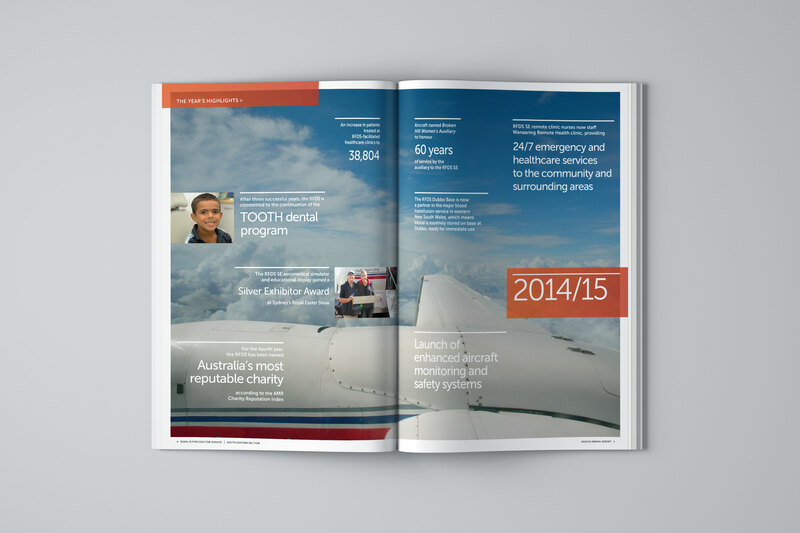 Each year the RFDS SE use their report to demonstrate the breadth and value of their services. 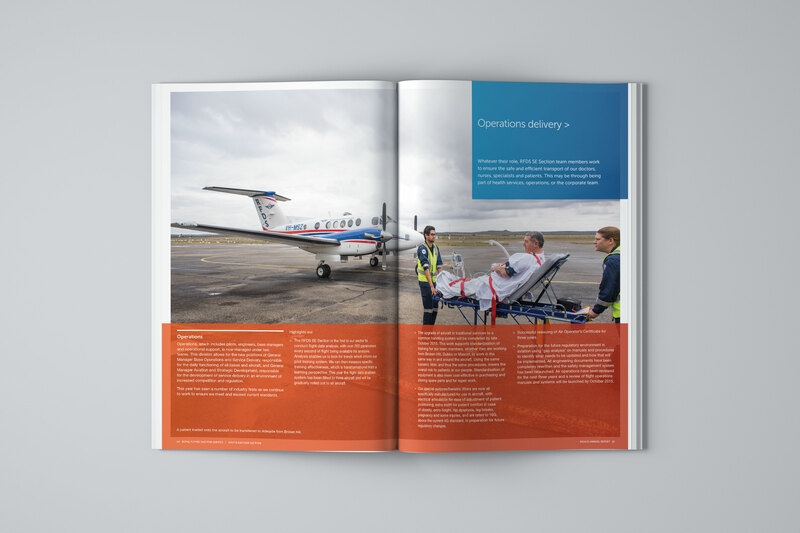 As the third report within the ‘Community, Healthcare, Delivery, Funding’ suite, the challenge for the RFDS SE Annual Report 2014-15 was to demonstrate the RFDS SE’s effectiveness in service delivery. In addition to the general review of operations, specific attention was given to the Section’s work to ensure the safe and efficient transport of our doctors, nurses, specialists and patients. 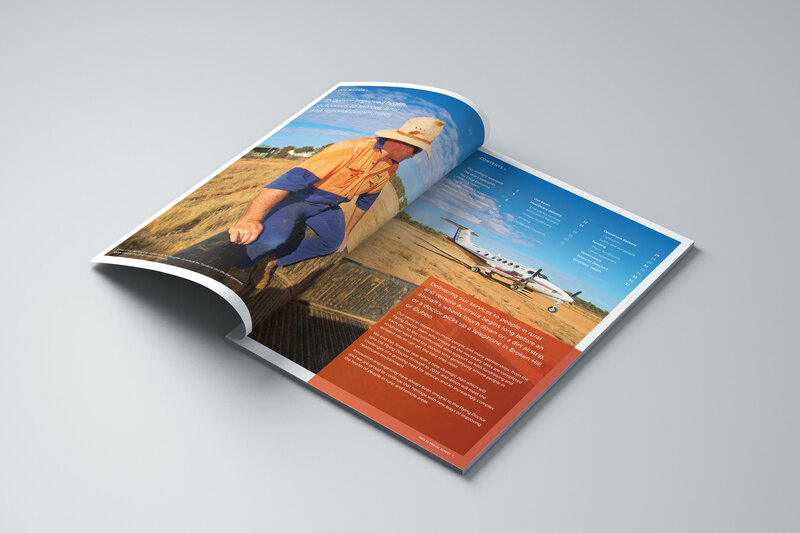 The 2014-15 report detailed the adoption of flight data analysis, aircraft upgrades and improvements in safety management systems.